A mother has defended her son after he was overheard by another child using the term ‘n****r’ at school. 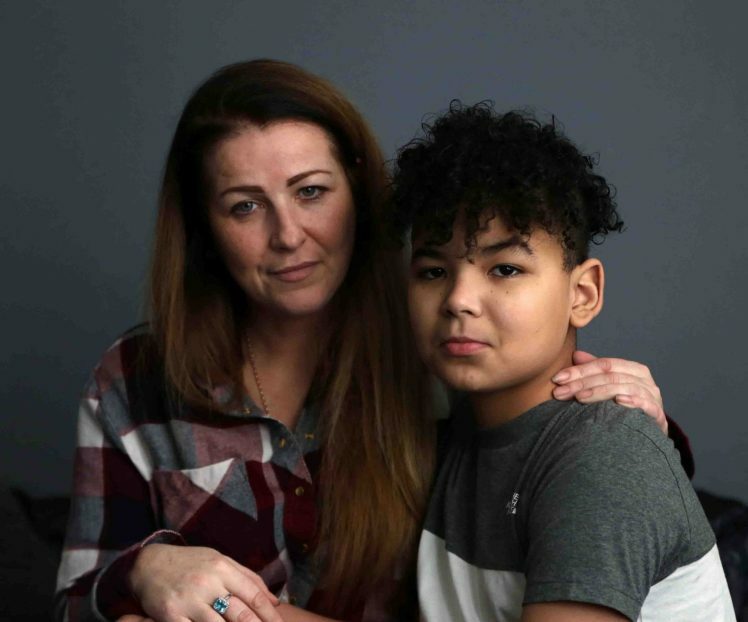 Irene Sexton insists that because he is mixed-race, son Leo Okenibirhe-Sexton, 11, should be able to use the term because of his black heritage. However, she said that Studio West School suspended him on the basis that the word may be used for racist abuse. She said: ‘That’s not racism when two mixed-race kids use that language between each other. ‘There’s a big difference when it’s two best friends saying it, as part of black culture, something they say in the rap songs. Irene, 41, who works as a barber, claims Leo was temporarily suspended, and that she was summoned into school to discuss whether the suspension would be made permanent. Although he wasn’t permanently excluded, she claims threatening Leo with this measure was inappropriate and says she felt teachers ‘weren’t listening’ when she explained why. She said: ‘My son has suffered from racism from students at that same school. ‘He’s experienced racism and prejudice throughout his whole life, and he’s just 11 years old, he wouldn’t be racist to anyone else. ‘It’s upset Leo, it’s driven down his confidence a bit – he says to me, ‘mam, how can I be racist when we’re the same colour’?’ And now, Irene says she doesn’t want to send Leo back to the school, in West Denton, and is hoping to move him to Kenton School, because she no longer trusts teachers there to deal with racial issues appropriately. A spokesperson for Studio West said the school could not comment on the cases of individual students but that ‘standard procedures’ were in place and the school would ‘proceed as guided’.